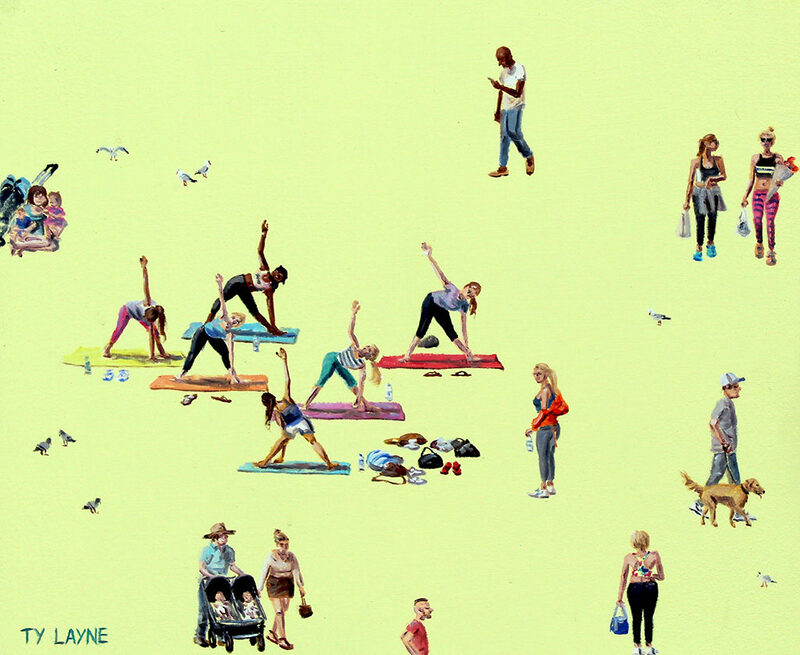 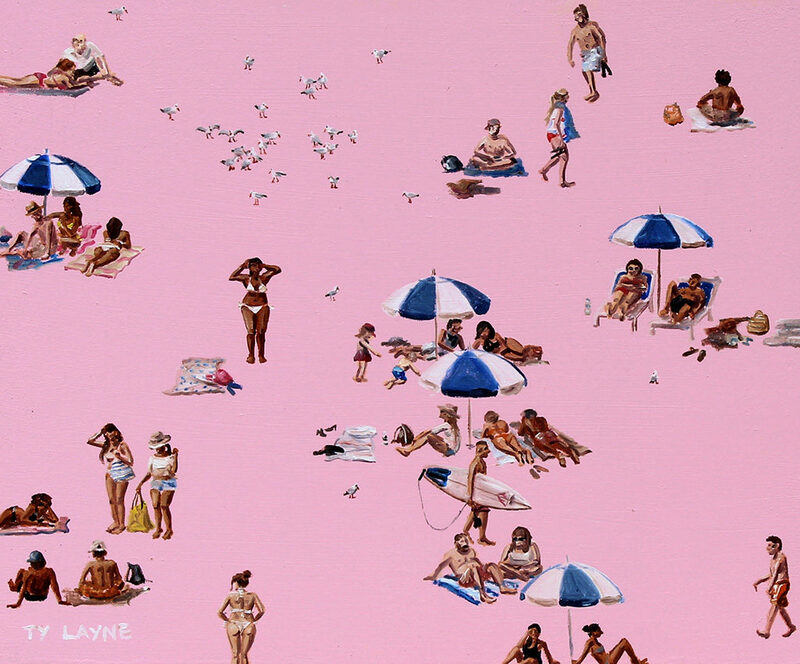 As Sydney shuffles into the cooler months, Saint Cloche remembers the summer lifestyle for which it is famous with Tyrone Layne’s Bankers, Lawyers & Beach Bums solo show. 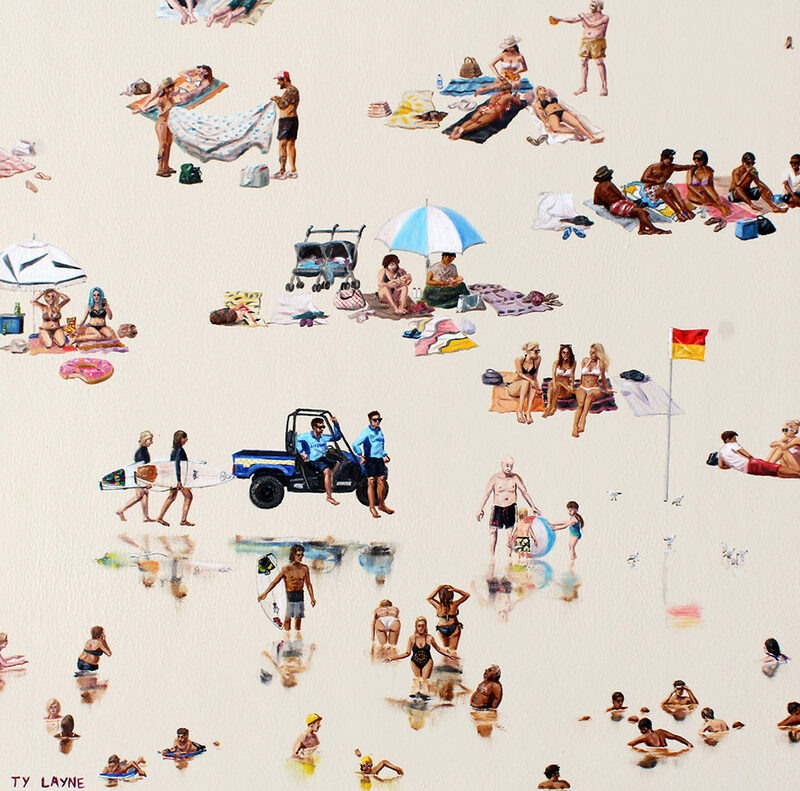 While hailing from across the Tasman, this NZ native has made the move to Sydney – and in doing so has made the contemporary life of the Sydney sider his intimate subject. 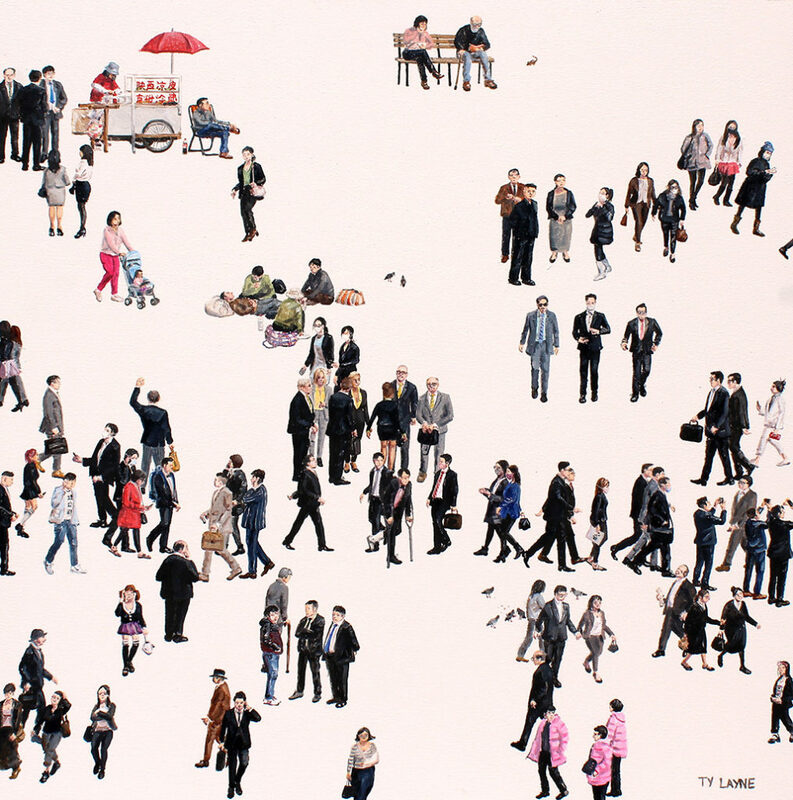 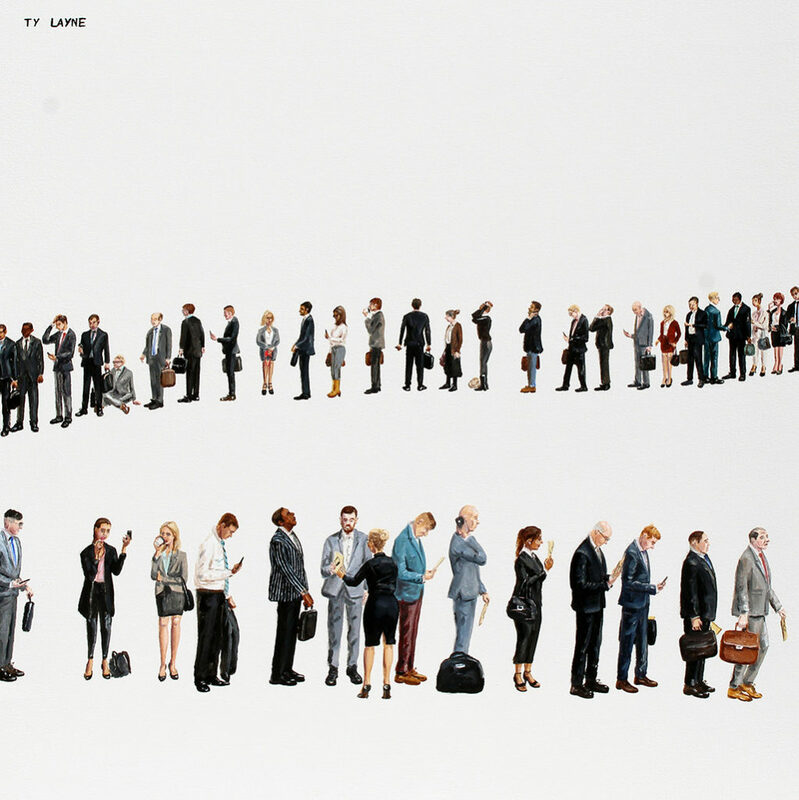 “My paintings will show observations of the typical work day in the city, where crowds of workers share a public space, like walking the streets to the next meeting, or grabbing some lunch. 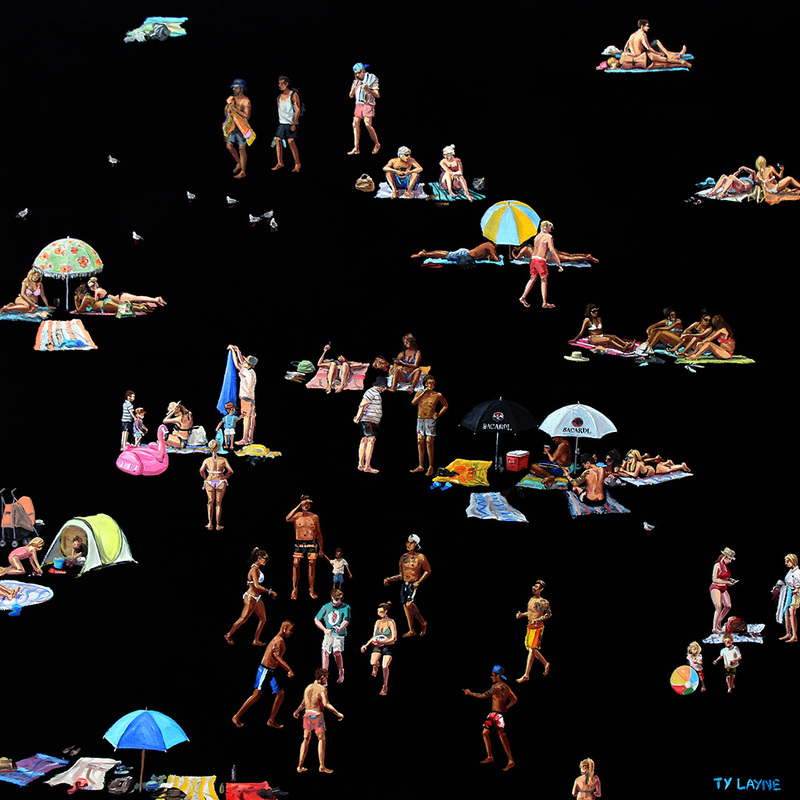 These will be shown in contrast with how a Sydney sider might spend their weekends of leisure at the beach, where Directors, CEOs, waiters, students, tourists, models all rub shoulders to cool off on a hot summers day”. 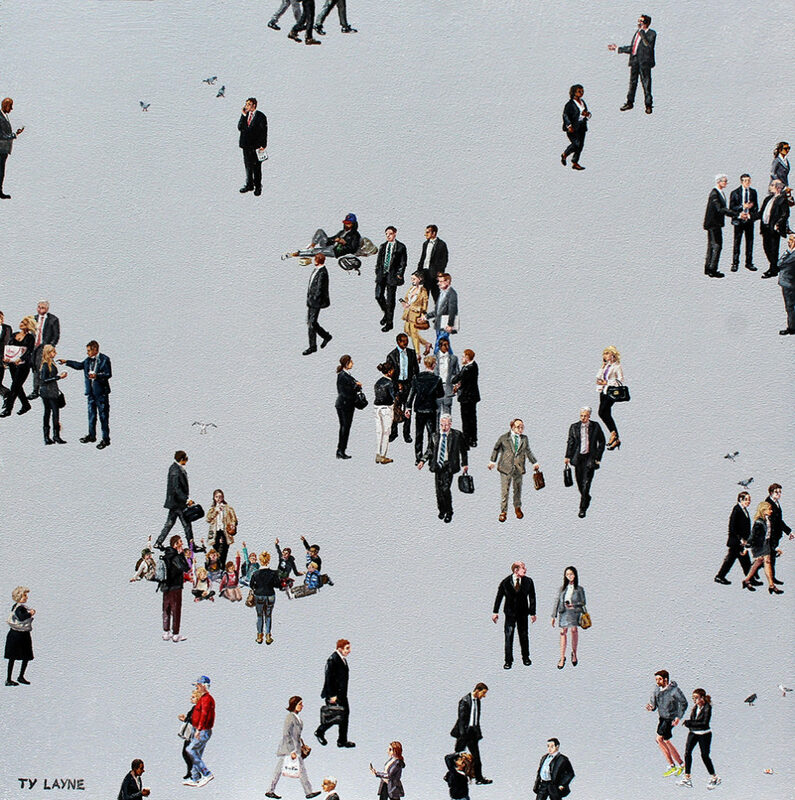 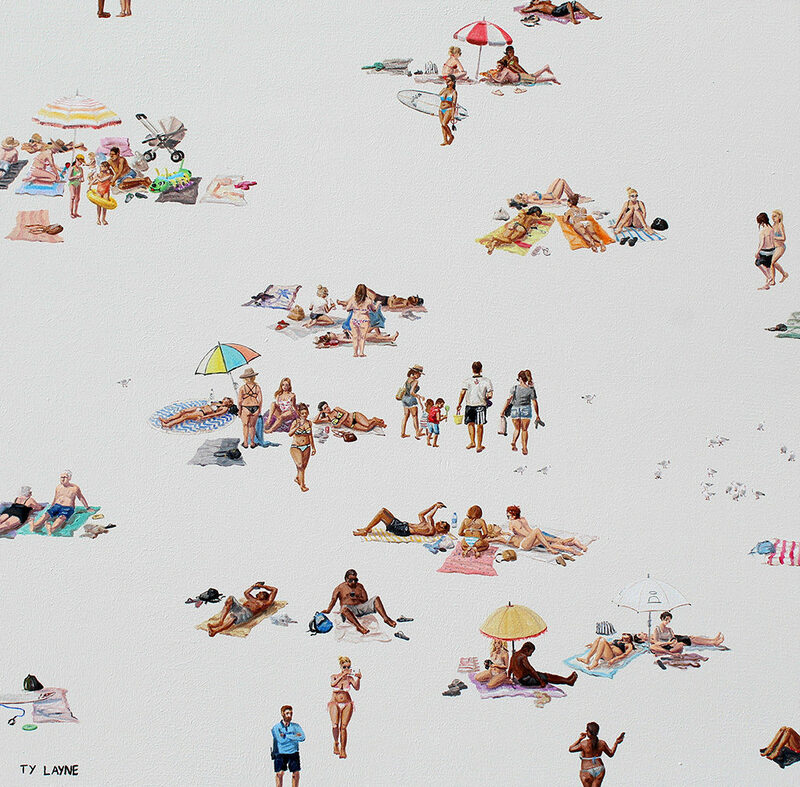 After much excitement and acclaim at The Other Art Fair (Sydney) in 2015 – Tyrone is an exciting young artist to watch.